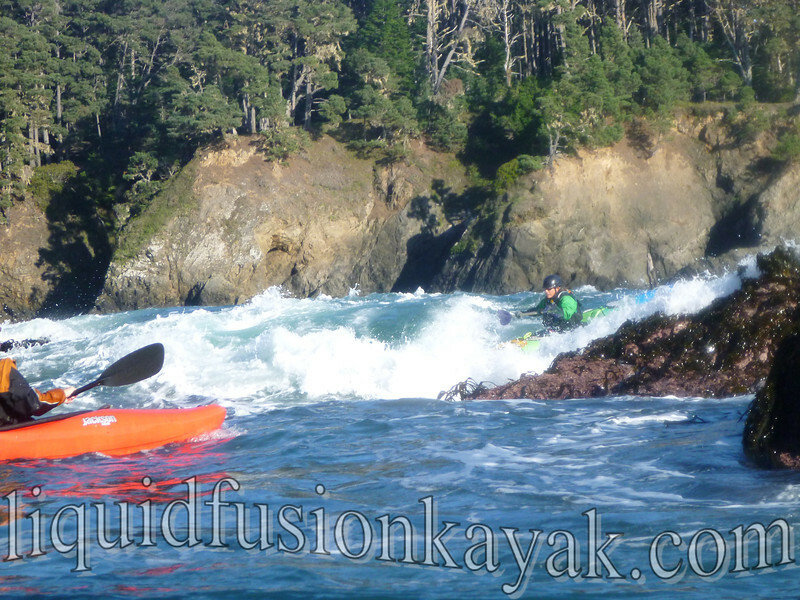 Last week, Jeff and I were stoked to take Jackson Kayak's Karma RG out for a test spin and were honored to be able to help Jackson Kayak make their promotional video of the boat. The timing was perfect. We had a streak of warm, sunny weather and sizable swell, and the Eel River was flowing from a recent rain making the waters of Mendocino County the perfect place to film the RG's promo video. 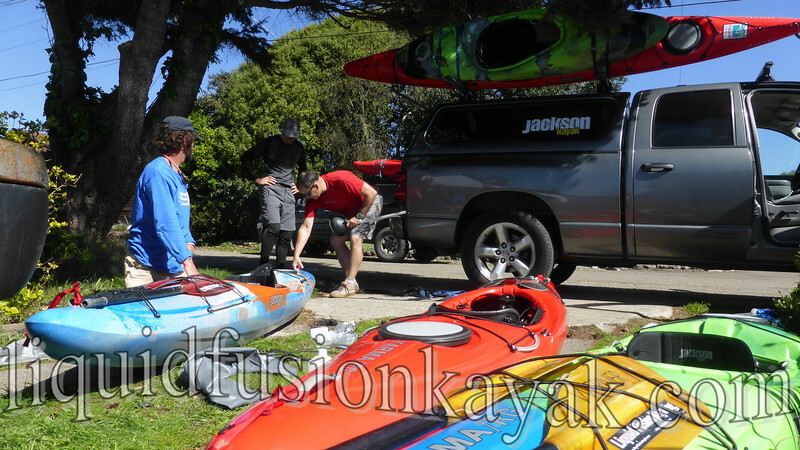 Sean Morley and Marty Cronin of Jackson Kayak pulled up to our house and we unloaded and outfitted 3 brand new Karma RG's. Our friend Bryant Burkhardt came out to paddle and help with the video project. Whitewater expedition kayaker Ben Stookesberry was the videographer for the project. 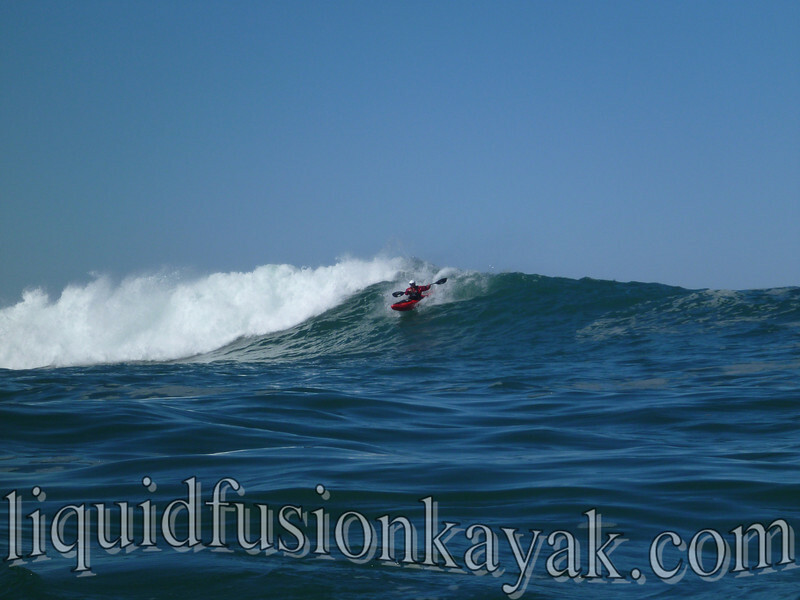 The Mendocino Coast was a perfect testing ground for the RG as an whitewater ocean play boat. We put the it through the paces in Mendocino's rock gardens riding pour-overs, surfing waves, traversing through technical areas, and paddling through sea caves. On day two of our adventure, Chicken Point was firing!!! A 20 second period west swell was stacking up 15 foot walls. There was definitely some chickening out, some carnage, and some spectacular rides. There aren't many places in this world where you can surf ocean waves and within 1.5 hour drive be running a whitewater river. 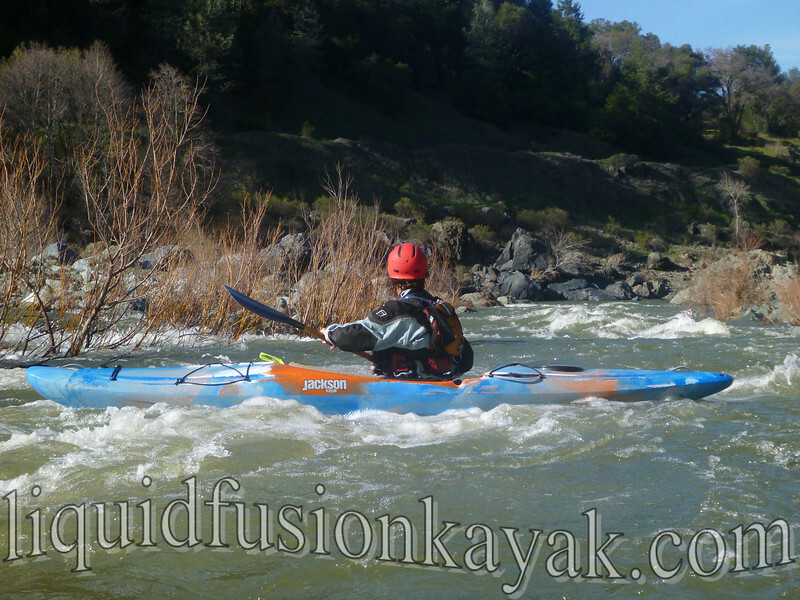 This is not always the case in Mendocino County but when we have had some rain it is possible so off to the Eel River we went to see how the RG's would perform on the river. Enough ado about making the video - you gotta watch it!!! This video embodies a lot of what we love about our home waters of Mendocino County - whitewater, surf, rock gardens, beauty and shows off a new boat that we are really excited about. We hope you enjoyed watching it - we sure had fun making it. How does the Karma RG compared in paddling effort at 3 to 4 mph (my cruising speed )vs the Jackson Journey or an Avocet? Thanks for checking out my blog. The Karma RG is much slower than the Journey or Avocet. 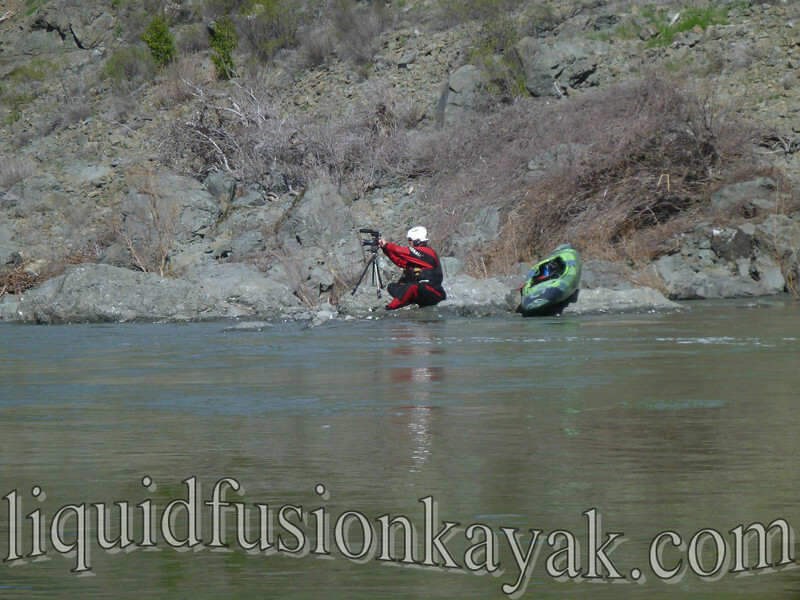 That's not to say that you can't keep up with faster boats - especially if you are rock gardening or river running.